A glass and glazing company, just like any construction firm, may look like a big venture to start, with investments including equipment and technical personnel but initially a Glass contractor may start small with an organizational chart comprising of 5 or less key personnel, leased equipment and without multiple management departments. But when a glass and glazing company gain traction in their metrics: Client retention, referrals, good feedback, it is when it’s timely to think of growth because those metrics show that the business is indeed scalable. However easy to just decide on expanding, it isn’t that simple. In fact there are a lot of SME categorized construction companies looking to scale and finding ways to do it properly. So we researched the best insights on the topic and whipped this article for Glass Contractors who are looking to scale their operations. They do the project base on their experience and learn from their fault. They have no project management process or the process is not useful. After one project, there are no people collecting data for the improvement of the next project. Some of management concepts like quality concept are not documented and analyzed. The figure above shows how to remedy this lack of proper project management by hiring key personnel and departmentalizing management using the matrix setup. For glaziers it could be Takeoff Estimator, Field Superintendent, Finance officer or Accountant and the Project Manager. Why we chose this illustration in covering the scaling of a Glass contracting company is because expansion meant bigger and more projects. Typically, it requires one crew unit headed by the Project Manager per project. 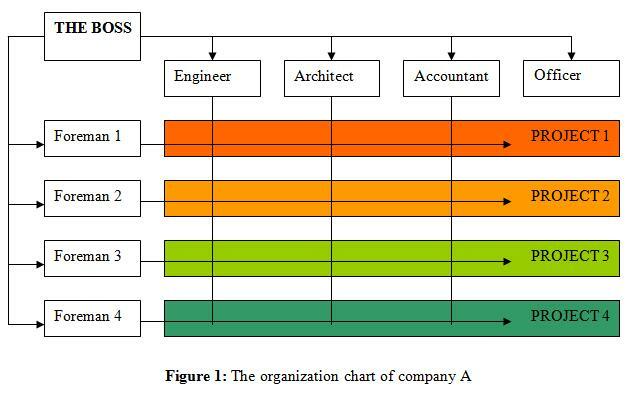 However, this matrix setup is not applicable to all construction companies but as we figured, it is a good template for setting up a better project management process. Glaziers are specialized tradesmen. Hiring skilled labor specifically for handling glass and with competent knowledge of glass materials and systems like Curtain Walls, Storefronts, Dhives and more, is a tough pursuit. We are at a time when the shortage of skilled labor is worsening and that makes producing skilled tradesmen a costly investment as most companies are devising apprentice programs just to fill in their own requirement, investing on certifications required for new hires and etc. 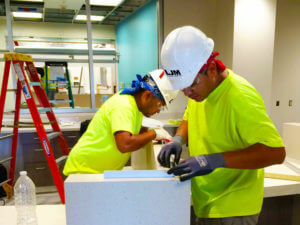 may opt to hire a team from a skilled labor service contractor that is specific to its trade. It is very cost-effective for a company looking to grow, to maximize its resources. This is done by prudently watching the allocations of their expansion budget. And one example is by not going all in on recruiting more staff than they can sustain. Another reason why it is beneficial to outsource additional crew members from a provider is because bigger projects meant its a whole new league of clients to satisfy and retain. While you could bet on your company’s strengths, you can never be too sure especially if you are yet testing the waters. Hiring the required number of skilled workforce for your first huge transaction may seem to be a no-brainer. But dwell on it a little deeper and expect the unexpected. Seek these external resources in order to expand your business and grow it steadily. This could be inevitable and unless you have fixed the company’s management process to have achieved an attractive profit margin, these resources may not be available to you. Moreover, the risks attached to these funding resources ultimately means you need to secure a solid plan for your expansion and both the steps mentioned above are critical before you proceed to gathering your funds. Construction bonds, labor costs including benefits, material costs, transportation, insurance, taxes: they all need to be carefully allotted for. A glass and glazing contractor may be taking just one piece of the entire project scope: the building envelope package, storefront or interior glass systems but the project cost can soar high depending on the scale. 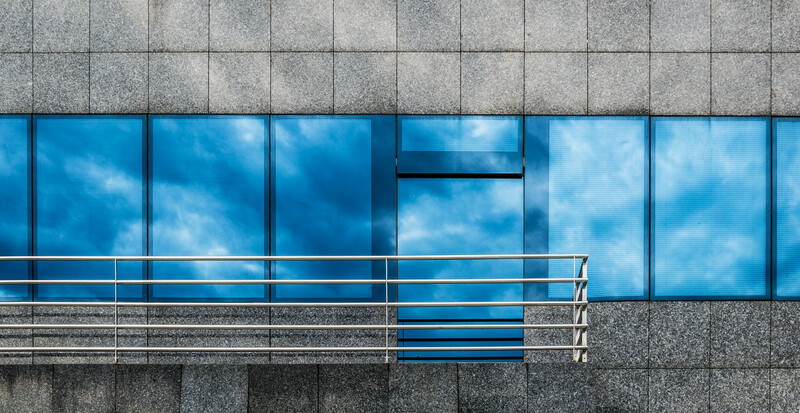 These are just some important factors to address before a Glass and Glazing Contractor should decide on scaling up which are some major adjustments and milestones that would ensure steady growth.